An ordained Interfaith Minister and graduate of The New Seminary for Interfaith Studies in New York , (Rev. G) has been initiated by Gurudev (Swami Jyotirmayananda) in the Hindu Sanyassi Order. Swami Sharadananda (Rev. G.) is the Spiritual Director at the Darshan Center for Spiritual Evolution at a Healing Space in Wilton Manors and is a Professor of Sociology, Social Work and Criminal Justice in South Florida. This workshop is an invitation to sing, chant, clap, meditate, dance and be in sacred space together to create a deep connection with the Divine. Participants will be immersed in a sacred experience of call and response chanting of sacred mantras with a unique sound and style. 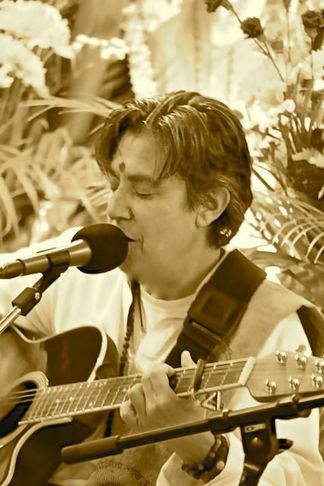 Participants will be engaged in the trans-formative power of Kirtan and learn about the energy behind this spiritual practice and the amazing benefits that calm the mind, open the heart and build deep connection with Divine energy.